Because being a business owner is busy. Trust us, we know. So save your time and stick to what you do best, and let us take care of the numbers for you. Our business packages are so much more than a tax return. Our packages are personalised advice, planning, investing, and strategising. We know what the most tax effective way of running a business is, and we know where to find those tax deductions to get you the most back. Being a business owner gives you a lot of freedom, flexibility and opportunity: Opportunity to make more money, flexibility to choose where to invest and spend it, and freedom to choose your hours, employees, workplace culture and your work life balance. We are the number one advocates for getting the right person for the right job, and outsourcing to allow you to focus on what you do best, because you can’t be good at everything. We focus on the future. 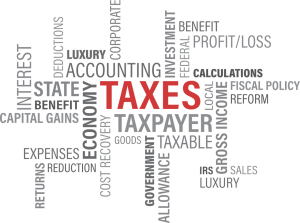 We use your numbers to find the best and most tax effective way for you to run your business through tax planning. We are extremely passionate about assisting business owners to take their business to the next level and help them achieve their business & lifestyle goals. Please download any information you may require.